Hey Guy, I talked to my sister and my niece picked a different boot but you don't have her size on the website, so I guess I will try to find them somewhere else. Thanks for all of your help! 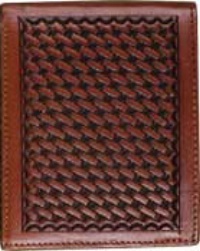 3D Belt Company Brown Bi-Fold Wallet with Smooth Edge Trim and Basketweave Embossed Leather body. 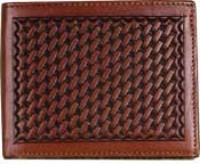 Inside Features include 6 leather credit card slots, removable identification window and 2 large slots for cash. 3D Belts offers quality products at fair prices. Please Allow 10 to 14 days on some items. Inside Features include 6 leather credit card slots, removable identification window and 2 large slots for cash.